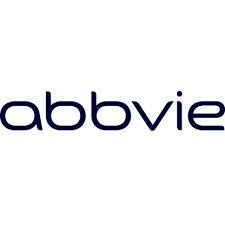 Today, October 28 AbbVie Inc. announced a quarterly dividend increase of from $ 0.57 to $ 0.64 per share that’s payable February 15, 2017 to holders of record January 13, 2017. This represents a 12.3% increase to regular quarterly dividends. With current price $ 61.46 (yesterday's close), this raise brings their dividend yield to 4.17%. Since I own 30 shares this will increase my yearly net dividends by $ 6.26. 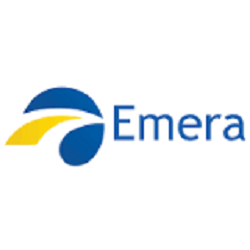 On Tuesday, October 25, I Bought 80 shares of Emera Incorporated at CA$ 47.25 per share plus commission. Emera Incorporated, an energy and services company, through its subsidiaries, engages in the generation, transmission, and distribution of electricity to various customers. The company is also involved in gas transmission and utility energy services businesses; and the provision of energy marketing, trading, and other energy-related management services. In addition, it transports re-gasified liquefied natural gas to consumers in the northeastern United States through its 145-kilometre pipeline in New Brunswick. The company serves approximately 506,000 customers in Nova Scotia; 158,000 customers in the state of Maine; and 126,000 customers in the island of Barbados. Emera Incorporated was founded in 1919 and is headquartered in Halifax, Canada. 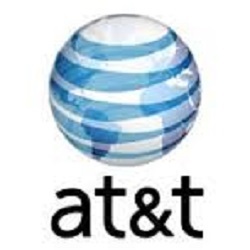 On Saturday, October 22 AT&T Inc. announced a quarterly dividend increase of from $ 0.48 to $ 0.49 per share that’s payable February 1, 2017 to holders of record January 10, 2017. This represents a 2.08% increase to regular quarterly dividends. With current price $ 37.49 (Friday's close), this raise brings their dividend yield to 5.23%. Since I own 310 shares this will increase my yearly net dividends by $9.24. Yesterday Omega Healthcare Investors, Inc. announced a quarterly dividend increase of from $0.60 to $0.61 per share that’s payable November 15, 2016 to holders of record October 31, 2016. 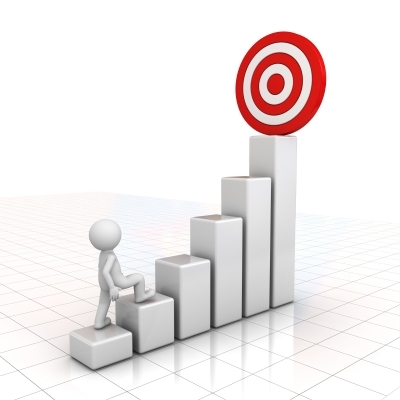 This represents a 1.67% increase to regular quarterly dividends. With current price $32.95 (yesterday's close), this raise brings their dividend yield to 7.41%. On Tuesday, October 11, I Bought 30 shares of AbbVie Inc. at $ 62.98 per share plus commission. AbbVie Inc. discovers, develops, manufactures, and sells pharmaceutical products worldwide. The company offers HUMIRA, a biologic therapy administered as a subcutaneous injection to treat autoimmune diseases; IMBRUVICA, an oral therapy for the treatment of chronic lymphocytic leukemia; and VIEKIRA PAK, an interferon-free therapy, with or without ribavirin, for adults with genotype 1 chronic hepatitis, including those with compensated cirrhosis. It also provides Kaletra, an anti-HIV-1 medicine used with other anti-HIV-1 medications as a treatment that maintains viral suppression in HIV-1 patients; Norvir, a protease inhibitor indicated in combination with other antiretroviral agents to treat HIV-1; and Synagis to prevent respiratory syncytial virus infection in high risk infants. In addition, the company offers AndroGel, a testosterone replacement therapy for males diagnosed with symptomatic low testosterone; Creon, a pancreatic enzyme therapy for exocrine pancreatic insufficiency; Synthroid to treat hypothyroidism; and Lupron, a product for the palliative treatment of prostate cancer, and endometriosis and central precocious puberty, as well as for the treatment of patients with anemia. Further, it provides Duopa and Duodopa, a levodopa-carbidopa intestinal gel to treat Parkinsons disease; Sevoflurane, an anesthesia product for human use; TriCor, Trilipix, and Niaspan to treat metabolic conditions characterized by high cholesterol and/or high triglycerides; and Zemplar to treat secondary hyperparathyroidism. The company sells its products to wholesalers, distributors, government agencies, health care facilities, specialty pharmacies, and independent retailers from its distribution centers and public warehouses. AbbVie Inc. has strategic collaboration with C2N Diagnostics; Calico Life Sciences LLC; Infinity Pharmaceuticals, Inc.; Ablynx NV; Galapagos NV; and Alvine Pharmaceuticals, Inc. The company is headquartered in North Chicago, Illinois and was spun off from Abbott Laboratories (ABT) in January 2013. Yesterday on 4th October I added 25 shares of TD Bank Group (TD) at CA$ 58.30 per share plus commission (CA$ 5.00). My overall cost basis of this position increases from CA$ 53.76 to CA$ 54.42 per share. I totally hold now 180 shares of TD and my yield on cost is 4.04%. You can look at my first purchase of TD here.